It’s a bird! It’s a plane! 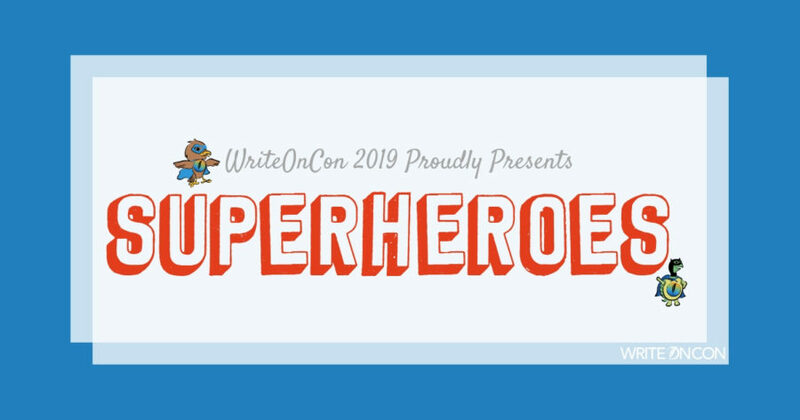 No, it’s — a WriteOnCon Superhero! They’re cleaning up the queries, cheering on the excerpts, recruiting new sidekicks, and looking pretty freaking adorable while they do it! We’re thrilled to introduce you to our 2019 line-up of Superheroes! Go to the forums and post your best query letter or writing sample in the appropriate peer critique boards for feedback from fellow writers. Use their suggestions to help you polish, polish, polish! (It’s well-known that agents like shiny things.) Rules and instructions are posted in a sticky thread at the top of each board. Once your materials are sparkling, post them up in our Superhero District, turn on the Bat Signal, and cross your fingers! Supers will be active only in these specially-designated boards; these are for Superhero feedback only. Once you’ve posted your materials you can’t edit them, so make sure they’re ready to go! Supers will be active in the forums from February 1 through February 13. Please be patient with them as they’ve got lots of threads to read. Don’t forget to check your Private Messages – some agents might be making requests of materials that catch their eye! For more detailed instructions and rules on Superhero feedback, check out the sticky post at the top of the Superhero District boards in the forums. Forums officially open February 1! But you’re welcome to swing by and hang out in our waiting room in the meantime. That’s all there is to it! Polish, post, and be patient. Also, pro tip: The forums are an awesome opportunity to get feedback on your work not only from Supers but also from fellow writers, but don’t forget to browse other threads and see what Supers are saying about other people’s materials! You can learn SO much just by studying their comments. Each SuperAgent will try to swing by the forums at some point (or multiple points) between February 1 and February 13. You won’t know who, and you won’t know when… that’s the mystery of a superhero. SuperAgents will be leaving constructive feedback on as many threads in the Superhero District as they’re able to visit. They might also make requests (through Private Messages) on samples they like! You can recognize a SuperAgent by their fun superhero name and their avatar (which will be some variation of the samples above). Whatever their disguise, they will always bear stars on their avatar! SuperAuthors will be leaving constructive feedback between February 1 and 13, just like the SuperAgents. You can recognize a SuperAuthor by their fun superhero name (accompanied by their alter-ego) and their avatar. Whatever their disguise, they will always have a quill in hand! Who are our heroes this year? But we can reveal who will be in the league this year! The forums officially open Friday, February 1st, one week before the conference begins, for you to start posting your work. This will give you time to get your writing in tip-top shape before our Live Pitch Event submission threads open, should you be planning to participate in those. We hope this program will benefit everyone, from those who post their query to those reading the comments/opinions from some of the top people in the publishing world. Still haven’t signed up for the conference? You can do so here.